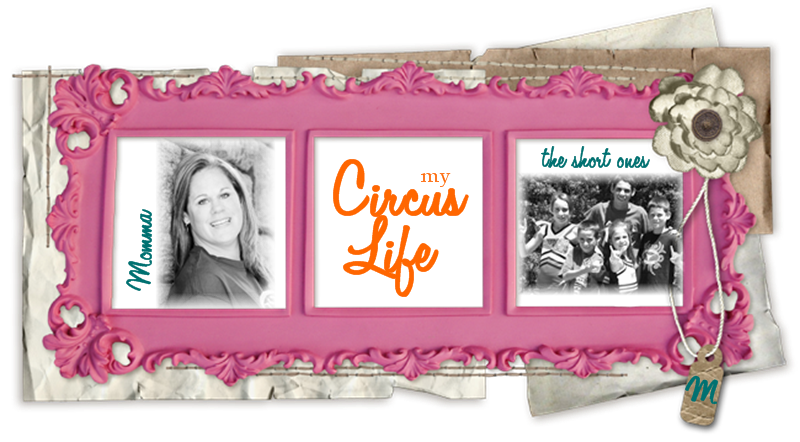 Circus Life: Gossamer Blue & Elle's Studio Blog Hop! 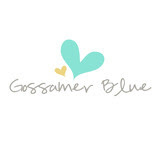 Hi Everyone who is here for the Gossamer Blue/ Elle's Studio blog hop! I can't say enough about these two companies! First off GB.. Lori puts together the most amazing kits I have been fortunate to work with. There are so many wonderful elements that all coordinate and are so easy to pull and design with! And Elle's Studio... we have had many fun things from ES in many many of our kits and I have come to fall in love with her versatile products! The wooden pieces in this months kit had to be my favorite! 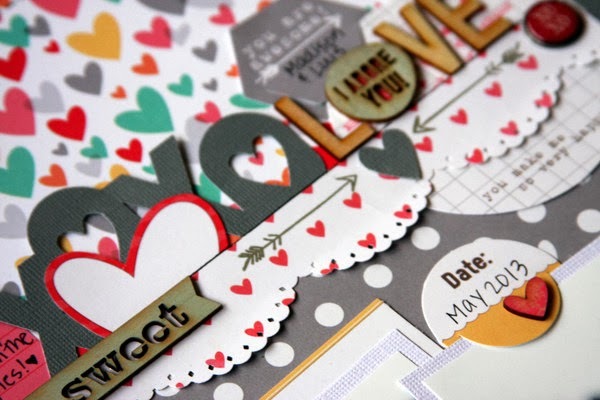 Here is my layout combining the beautiful Feb GB kit with Elle's Studio goodies! I used ES papers, stamps, wood pieces, and die cuts! Don't forget to stop by the Elle's Studio blog and the Gossamer Blue blog! Each company is giving away some great prizes on their blog. Leave a comment on their blogs telling us what inspired you along the hop to be entered! This is so cute!!! I love the banner of goodies!! Awesome page Kim - love the banner! love how you you did some sort of banner on the upper portion of the LO. Very cute! This is adorable!! I love the layered strip above the photos!! Gorgeous pictures too! I love all of the dark greys in this layout! I love how you divided the page in two with all the hearts at the top! And the B&W on the bottom! Great contrast! Great layout - love how you used almost a pocket-page concept. Perfect! Wow! This can be one particular of the most useful blogs Cccam Server We have ever arrive across on this subject Actually Great I'm also a specialist in this topic therefore I can understand your effort. Kami adalah Biro Travel Karimunjawa yang bernaung di Jepara khusus mengurusi Paket Wisata Karimunjawa. Adapun paket liburan untuk tour ke Taman Nasional Karimunjawa berbagai macam jenis, mulai dari paket backpacker 4 hari 3 malam, paket homestay 3 hari 2 malam, paket hotel 2 hari 1 malam, paket wisma apung, paket diving, atau paket honeymoon dengan menginap di Hotel D'Season Karimunjawa. Love my SAHM life as mom of 5 short ones!